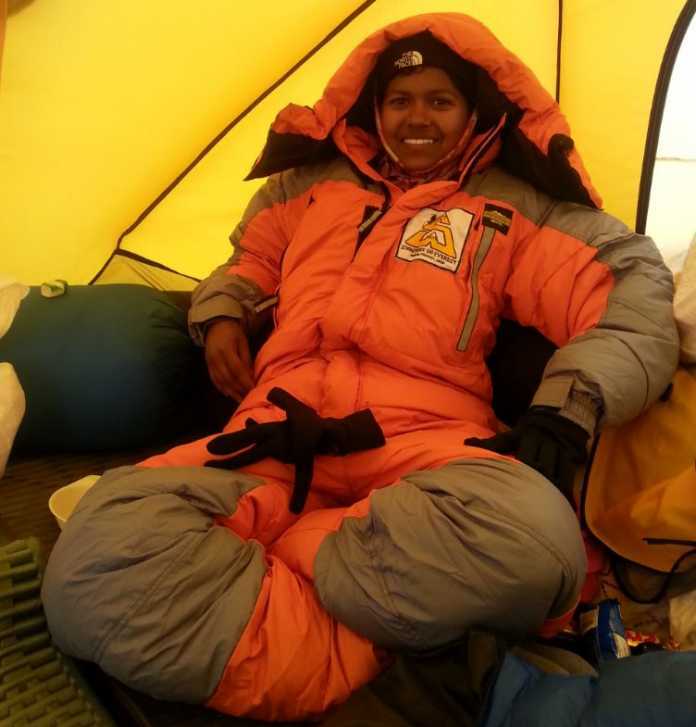 Poorna received global fame for conquering the world’s tallest peak; Mount Everest on 25 May 2014. She also became the youngest girl at the age of 13 years and 11 months to climb the peak and since then has become a torchbearer for other girls in her community. 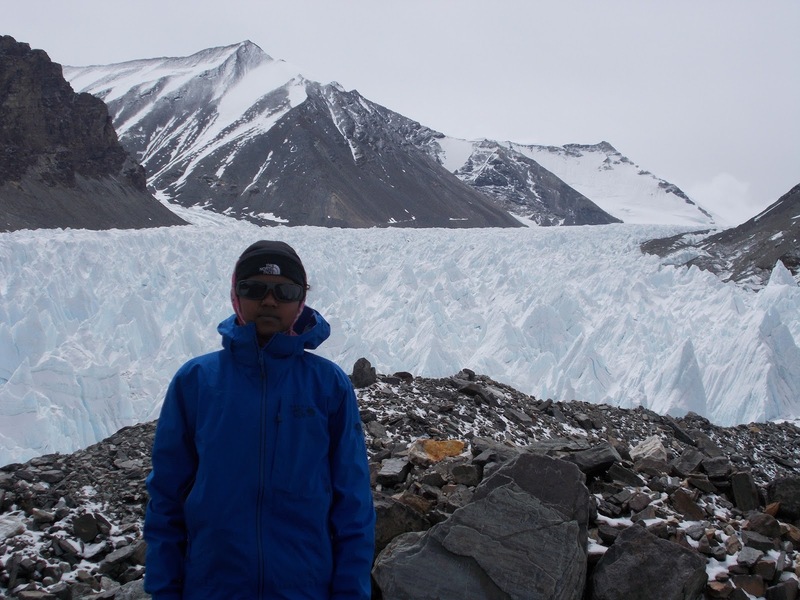 Poorna’s achievement is even more impressive as most of the climbers attempt to conquer the peak by choosing easier pathways, but the then 13-year-old scaled the height in 52 days by taking the most difficult Tibetan side. Establishing herself as an epitome of empowerment, Poorna has shattered misogyny, sexism, patriarchy, casteism. Hailing from a small village Pakala, Nizamabad District, Telangana, Poorna’s parents is agricultural laborers. With such background, she has proven that it doesn’t matter where you come from as long as you believe in your dreams. From a village which is infamous for the skewed gender ratio, malnourishment, and low literacy rate, a 16-year-old girl, Poorna Malavath has embossed her name on the canvas of success. Here are the snippets of the interview. Congratulations on your achievement Poorna. What made you want to climb Mt Everest? I was passionate about sports, participated in a lot of games at the school level. Rock climbing would always intrigue me. So, I was handpicked by the government organization, Social Welfare Residential School of Andhra Pradesh. This government organization provides free education to the underprivileged of the society, and they undertook a challenge to send tribal kids on the expedition. This must have come as a surprise to your parents. How did they react?My parents initially expressed their dissent, and my mother cried. So, my coach came down to my village and met my parents and convinced them to allow me. After meeting my coach, they were supportive. Can you tell us about the training you underwent? It takes a lot of commitment and training before starting the expedition. It took around eight months to ready us. Initially, I was sent to a Mountaineering Institute in Darjeeling where I learned to climb mountains up to 17,000 feet height. Then we were taught to walk on the snow and ice. Only nine people were selected for further training in Ladakh, where we learned to acclimatize ourselves to very low, dipping temperatures. In the end, Anand Kumar and I were selected. Then started our diet plans, medications and yoga training. Despite rigorous training, the weather can turn completely catastrophic sometimes. What challenges did you face weather wise? Yes, the weather is sometimes unpredictable and there were many obstacles. The winds were harsh, and it was extremely cold. Besides this, we would eat packaged food, which was hard for me to digest, so I would frequently throw up. The smell of the sealed bags was unbearable. Moving forward, I also saw dead bodies of the people lying there. I was scared and had gone numb, but I never wanted to quit as it was my personal goal which I had to achieve at any cost. The oxygen tanks were a bit heavy, and it was a Herculean task to climb the peak with it. The journey was more difficult than I anticipated, but my willpower to prove myself and justify that a tribal girl can also do something did not let me deter. After all this, it must have been exhilarating to reach the summit.Yes. There was a sense of peace and satisfaction within me. I thought of my parents and also called them through a satellite phone. My coach was very proud of me. I raised India’s flag and waved it. What do you feel after accomplishing your goal? This accomplishment has brought a lot of changes in me. Now people know me. I also met our beloved Prime Minister Narendra Modi and leaders like Rahul Gandhi. It was fulfilling for me. I am also being featured in a biopic, which will be releasing very soon. What messages do you have for other girls? Girls can achieve anything they want. They are strong. At times, when we are on our way to be a superpower, it is the time that girls also seek independence in their thoughts and accomplish their dreams. 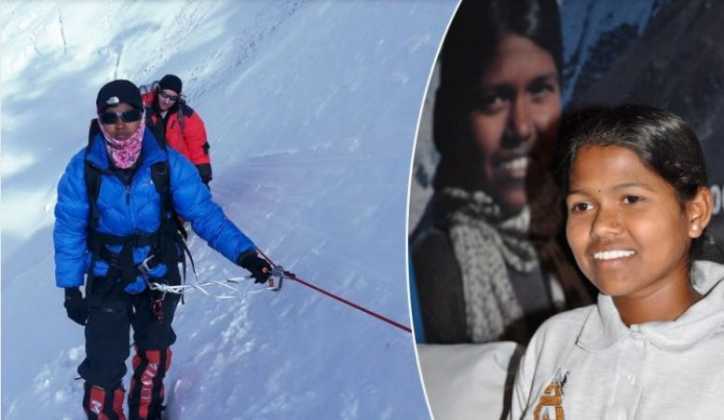 We salute Poorna Malavath for creating history by being the youngest girl to climb the highest peak. We hope other girls also follow her lead and etch their name on the stones of equality, passion, and empowerment. A movie is being made on her life by renowned Indian film actor, director, screenwriter, social activist Rahul Bose. The Movie Poorna is set to release on 31st March. We wish Poorna all the best for her future endeavors.